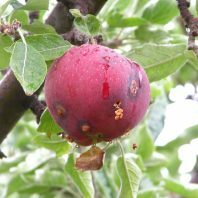 Backyard fruit trees are great to have unless the fruits are ruined by coddling moths, cherry fruit fly, peach leaf curl, apple maggot and other pests. This class will introduce you to the proper cultural, me­chanical, biologic and chemical techniques you can use to protect your harvest later in the summer. Tim Kohlhauff, WSU Master Gardener Coordinator for Spokane County, has.years of experience advising people on how to care for their trees.